On the way to Lake Powell after having spent the winter in Baja, we decided to take s detour to Zion National Park. We arrive after dark and the campground is packed. We find a place to park and quickly are sleeping. In the morning we check at the Park Headquarters to see what the water level is at for the Virgin River. 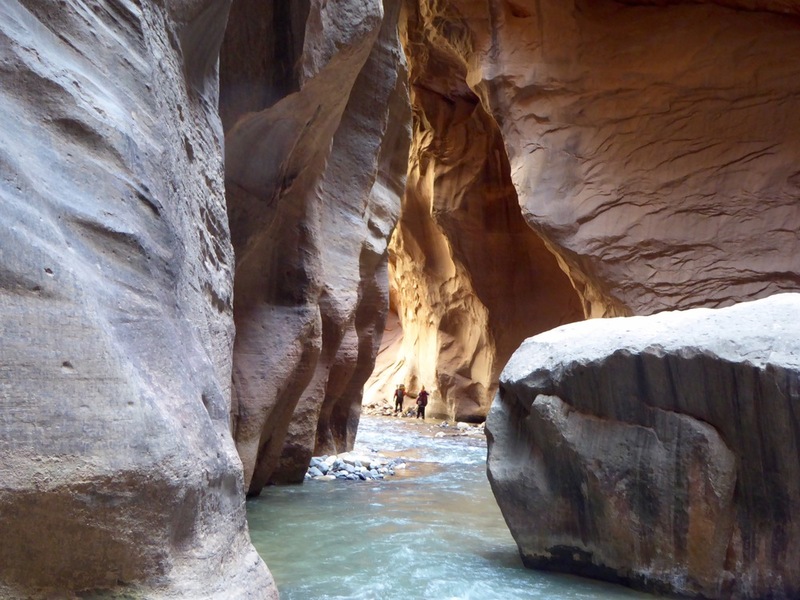 A good level means that we can hike up the Narrows. We have our drysuits, wet shoes and trekking poles, and the water level is good. The only way to get to the trailhead for the Narrows is by shuttle bus. We load the bus with other folks who are dressed like us. Most folks do a shallow wade about a mile up the river to the impressive narrows, With our gear we can go about 5 miles up river. The water in some places is up to our chest. The water is murky in places and the bottom often filled with moving rocks. Do not think high water levels would be fun. Actually at certain levels this route is closed, especially in the spring when the rains frequently occur. 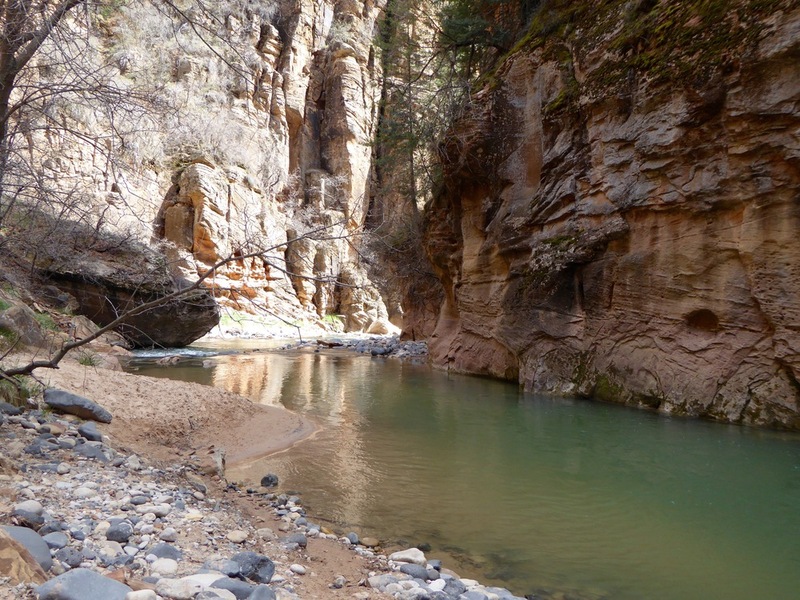 There are warnings to be aware of flash floods, once in the canyon it would be impossible to climb up if the river rose. It is a beautiful hike, glad we took the detour.